Ahead of this Thanksgiving holiday, PragerU’s Will Witt and journalist Michael A. 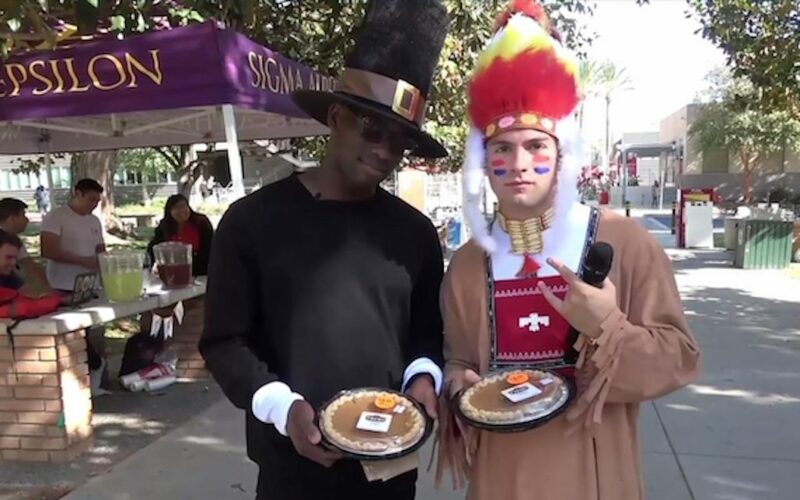 (@the_blackmic) headed to California State University, Northridge, to hand out pumpkin pie and talk to folks about what they’re thankful for. Thing is, Witt was dressed up as a Native American — complete with headdress and makeup — and Michael A., who is black, was dressed as a pilgrim. 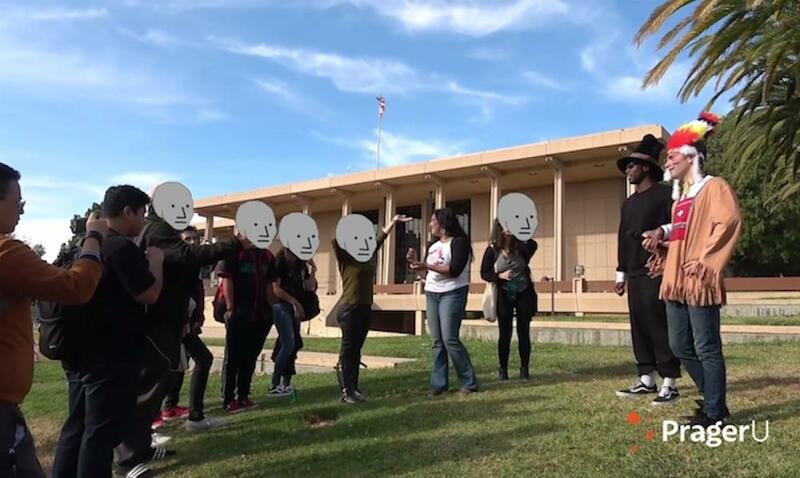 Witt as a Native American was clearly the main target of students who confronted the pair, but one student didn’t let Michael A. off the hook, either. But Witt and Michael A. quickly corrected her, telling the student that there were, in fact, black pilgrims. “OK, I’m sorry about that,” she replied, much more quietly this time. 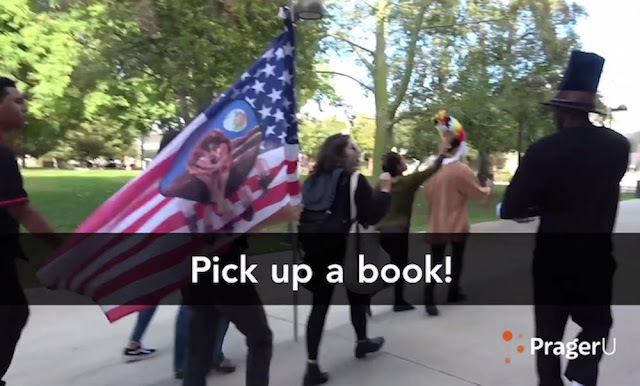 At one point, Witt said a “Native American class” was sent out to follow and harass him and Michael A. as the pair walked away, presumably toward safety. The whole thing culminated with one student coming at Witt from behind and pulling off his headdress.